cleansed via capillaries, where nutrients and oxygen are delivered and toxins eliminated. Almost 74% of all blood vessels in our body are micro-vessels. If stretched out in one continuous path, they would amass more than 74,000 miles. The circulation of our blood is the engine that keeps us going.The heart pumps blood through the main arteries, but it relies on the additional power of the autonomous pumping motion of the micro-vessels. It is these very small vessels that reach the most remote parts of our body. We live in a world riddled with 'diseases of adaptation' which is a category filled with self-inflicted risks from socially reinforced lifestyle choices. A quick look at the Top 10 global causes of death says it all. PEMF offers us a way to epigenetically re-program our lives. If you check your family tree, most of us has someone who they've lost to these conditions. PEMF technologies are a way to course correct the myriad of habits, injuries and predispositions we all carry and use our own untapped vitality and the free energy of our biofield to repair, rejuvenate and renew ourselves both in the short and the long term. 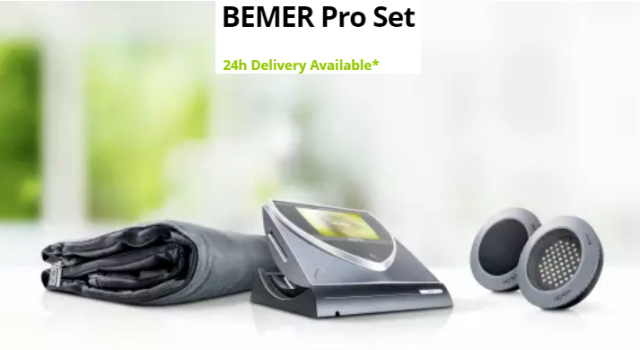 Investing in a PEMF product like the BEMER is proactive decision to create a viable portable, and shareable path to sustained family health and vitality. I think every family will have a PEMF product in their home as the word spreads about this amazing technology.